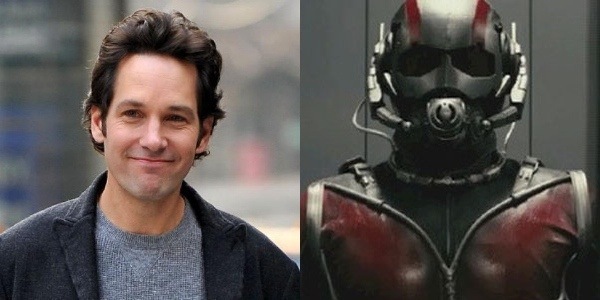 Paul Rudd in early talks to play Ant-Man! Ok this rumor has been going on for awhile now. We have heard that Paul Rudd and Joseph Gordon-Levitt were the top two choices to play Hank Pym in Edgar Wright’s Ant-Man. The film will be apart of the Marvel Cinematic Universe(Phase 3). The scheduled release date is July 31, 2015. I honestly like Paul Rudd as Hank Pym. It seems that the role fits him more than JGL. He has more of the natural comedic humor that Hank Pym is known for. Plus JGL already has the Sandman comic book adaption to work on. The fact that we would be able to see Paul Rudd in a Avengers movie sounds sweet. So far nothing has officially been announced by both sides, but sources have been telling Variety that it is close to final. I honestly think this is a great move! ← First look at the official trailer for How to Train Your Dragon 2!